I'm relatively new to the forum, and the Pacifica in general. Almost a month ago I purchased a certified used '17 Touring L with the intention of towing my boat with it. After about 170 miles towing in various conditions, I'm really happy with how this turned out. My boat is an 18' Larson runabout, which I put on a scale a few years ago to find the axle weight at 3,300 lbs with a full tank. Add in about 200 lbs of tongue weight, and it sits right at the maximum capacity of the Pacifica, as well as the '14 Escape I previously towed it with. One thing that drove me to the Chrysler was the ability to view actual fluid temperatures in the instrument cluster display without messing with OBD adapters and such. I dislike how we don't have the ability to exercise any manual control over the transmission, but the factory programming seems to be really well done. This thing never seems to hunt for gears, and learns the load quickly because it doesn't try to upshift the second I ease up on the accelerator pedal. Going down the highway with the boat, most of my time is spent in 6th gear around 2,500 RPMs, with the occasional shift to 7th. 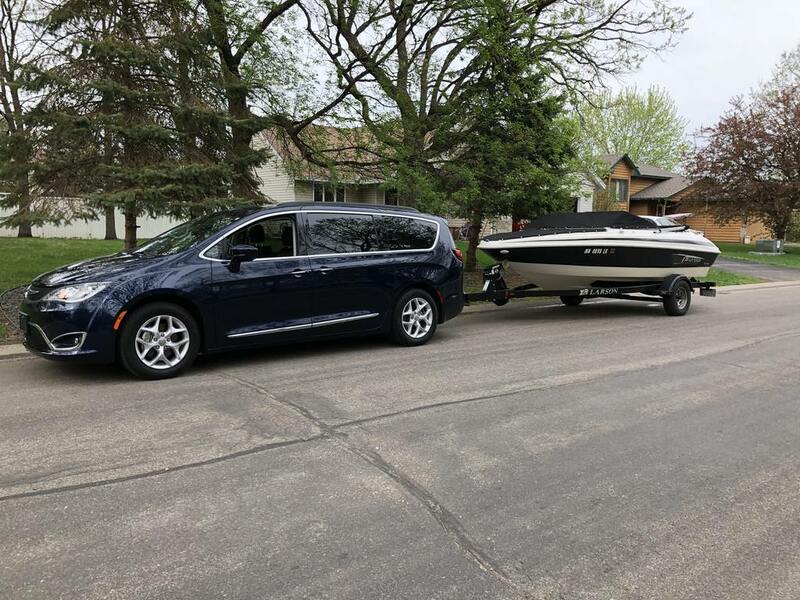 After pulling with Honda and Toyota vans in the past, I imagined the Pentastar V6 would have more than enough power with the trailer, and my van sure doesn't disappoint in that area. I have no difficulty staying with traffic, and the overall towing experience seems quite stable. My trailer has hydraulic surge brakes, which I think are a requirement towing with a vehicle in this weight class. The cooling system seems up to the task, but my coolant temps have gone as high as 228* on the highway in warm weather. I'm happy with that, but if I see warmer temperatures as the summer progresses I may look at swapping the larger radiator that comes with the towing package. The transmission hasn't gone higher than 193*, and I attribute much of that to the transmission staying locked into gears rather than constantly hunting for the correct ratio. Overall I'm quite happy with how it's handled, and is a great option to pull a correctly set-up trailer at this weight. CentralFla, Longtimemopar, lilk1d777 and 1 others like this. Draw-Tite Class III Hitch for towing the boat. And isn't it great to launch with a FWD vehicle? Sort of. Better than straight rear-wheel-drive, but not great IMHO. My AWD Escape was really impressive, and before that I pulled this with an F150. If I have one complaint with this setup it's traction...the super-short 1st gear means wheelspin from a stop is a problem if I'm not real light with the throttle. 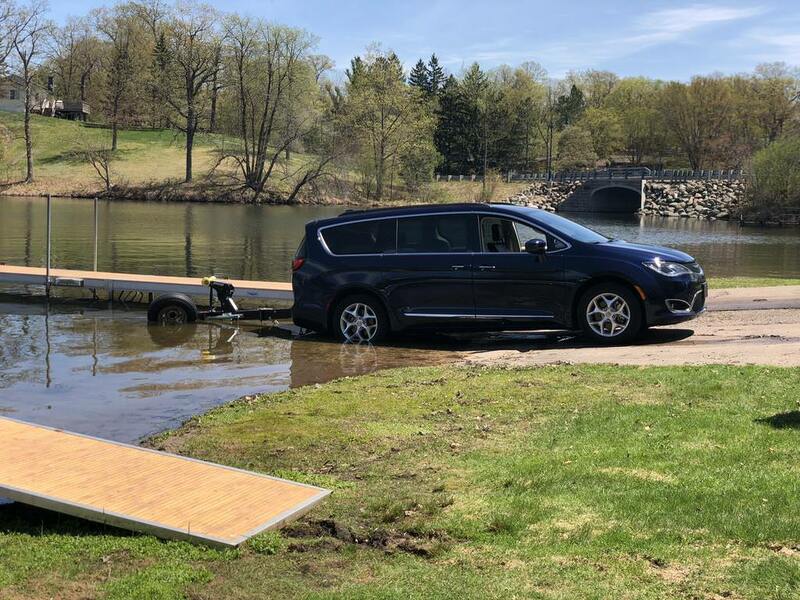 It's not the van's fault...a few years ago we had an AWD Sienna that was great at a boat ramp, but the sacrifices that come with that particular AWD system weren't worth it this time around. The towing experience with your car is fabulous simply because you got the jazz blue exterior color, and nothing else. .
seo68 and TomB985 like this. Nice! Did you add the tow hitch to the vehicle after market or was it included with the van (factory installed)? Your comment about the radiator makes me think it is an aftermarket hitch. I'm curious bc we just picked up our Pacifica yesterday, complete with factory installed tow package. Congrats on the new vehicle JB007, enjoy. Yep, I installed a Curt Class III hitch and a 7-pin trailer connector. I would have preferred the factory package, but they're quite difficult to find on the used market. Depreciation has eaten me alive over the last few years after a divorce motivated me to downsize, so I was determined to find something slightly used. 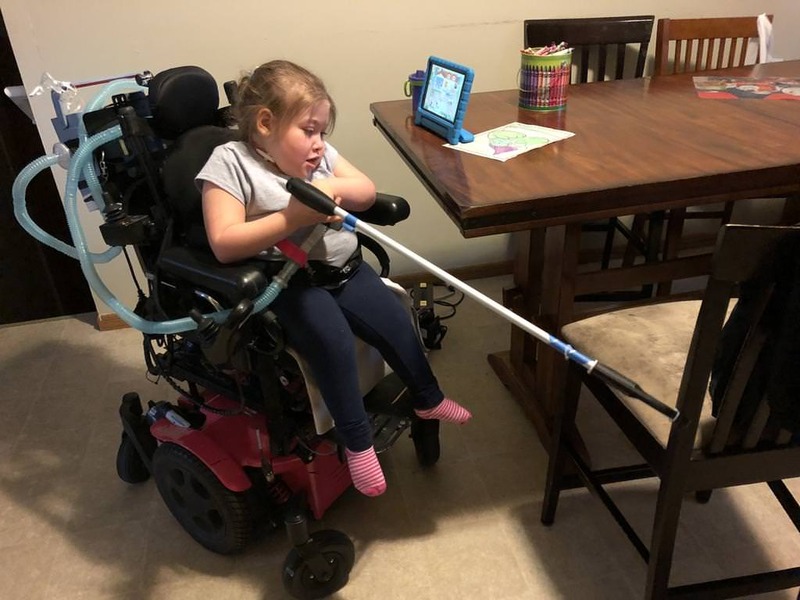 The other reason was that my 6-year-old daughter is disabled and uses a power wheelchair. 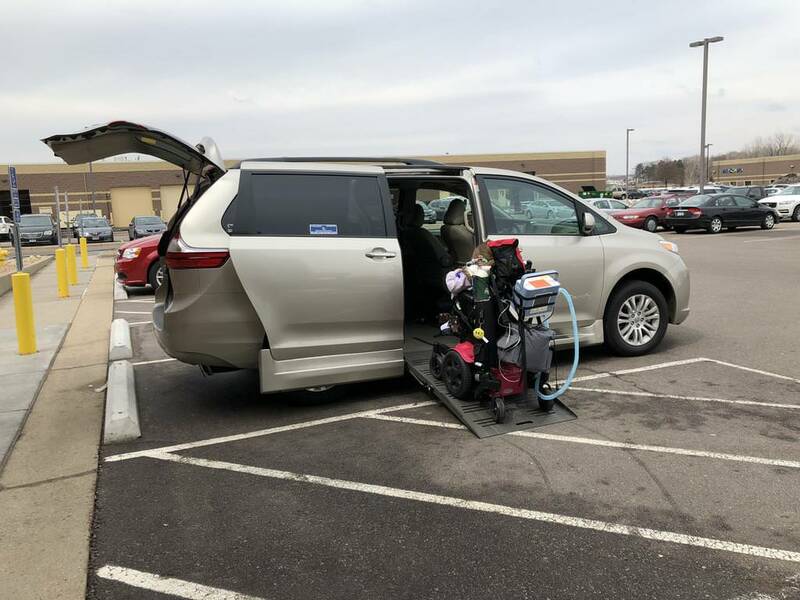 We have a handicap-accessible '15 Sienna for this purpose, but I also have a hitch carrier for her chair. 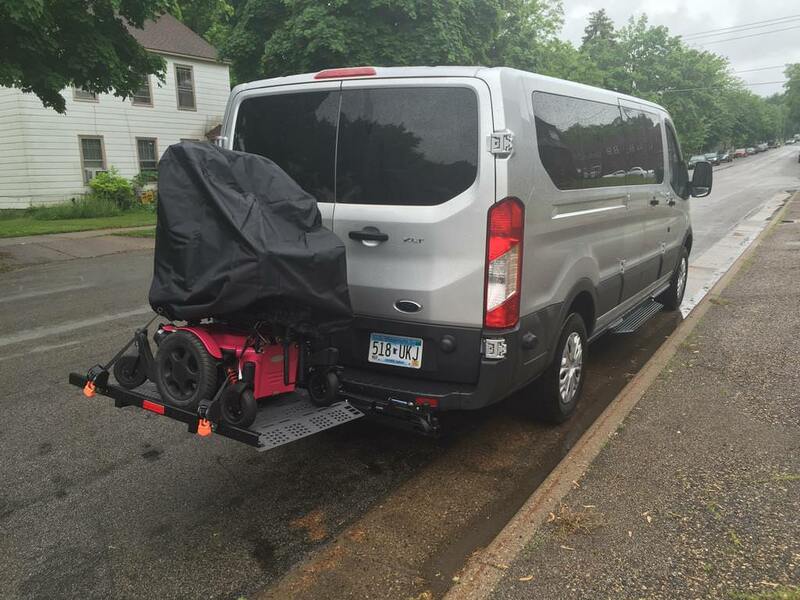 The wheelchair itself is 340 lbs, and the hitch carrier is another 140, so I wanted more tongue weight capacity than the factory package offered. NOT that I prefer to put 500 lbs on the back of my Pacifica, but it's nice to know the hitch can handle it if required. That Sienna looks a lot like a Ford Transit! Weird, right? Probably camera angle. That was our pre-divorce handicap van. A couple months after this photo it was fitted with a side-entry lift. The Sienna is a complete conversion, and because of that is very difficult to mount a hitch to. Bond007 and JB007 like this. Glad the aftermarket worked well for you! We also looked around for a used vehicle that would suite our needs, but it was tough to find a good price, and what we wanted (avoid what we really didn't like or want). I'm glad it will work for you when you need to tow your daughter's wheelchair, or for the fun boat! Thanks for the pictures, she is a cutie, with a determined look!